Sumeetadev Kaur (Sumi) is the rose among the thorns at the Akaal Premier League (APL) 2016, being the only female player in the Sikh youth futsal league now in its second year. And she has already made history. She was fielded by Klang Rangers in their opening match on 17 July at the Akaal Arena, the futsal field at Gurdwara Sahib Jalan Kg Pandan, Kuala Lumpur. 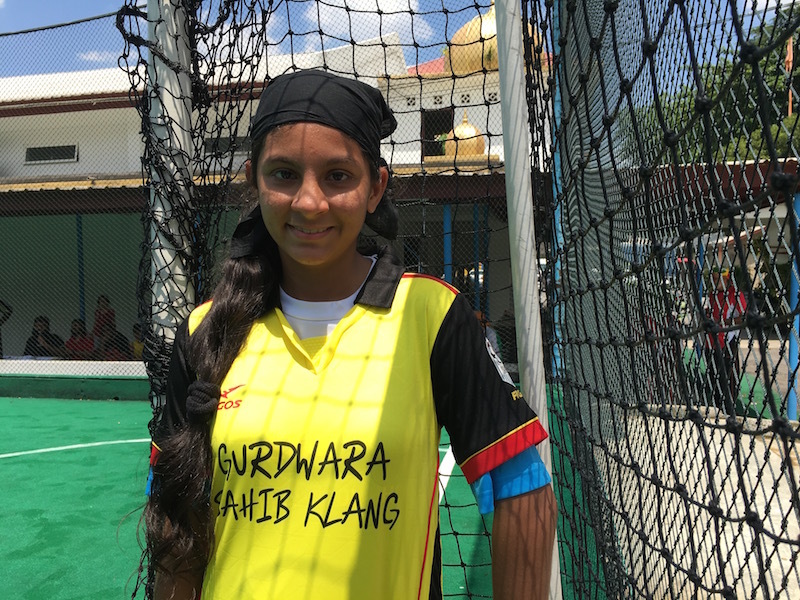 This makes the 13 year old the first female player to break into the otherwise all-boys futsal league, the only one of its kind for the Sikhs in Malaysia. In APL 2015, Sumi played for Beruntung Hill Twin Lions, but did not get a chance to prove her skills in the field. Will Sumi be the only lioness amongst the lions for the rest of the season or will there be new female faces? We shall see when APL 2016 comes back for its Match Day 2 tomorrow (Sun, 312 July 2016). APL 2016 now boasts nine teams. The original six from last year were Pulapol Eagles, Rawang Akaal Warriors, Pandan Village Lions, Beruntung Hills Twin Lions, Iron River Kings and Titiwangsa Panthers. Joining them are Seremban Lions, Selayang Sardars and Klang Rangers.